super quick pizza | what is clara eating today? pizza, pizza, pizza… clara wants pizza everyday these days. i used to make the crust with almond flour (i’ll post the recipe for this another day), but this is much easier short cut. since she has pizza so often, i try to vary the toppings everyday. 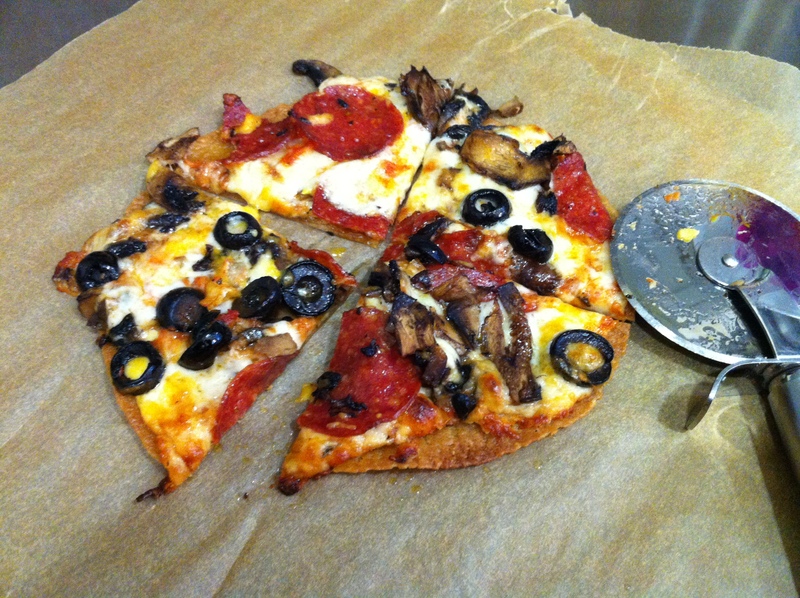 put tortilla on pizza pan lined with parchment paper (for easy cleaning). spread olive oil all over the tortilla. spread the pizza sauce. spread mozzarella cheese. sprinkle herb. add pizza toppings. bake at 350 for 6-8 minutes.